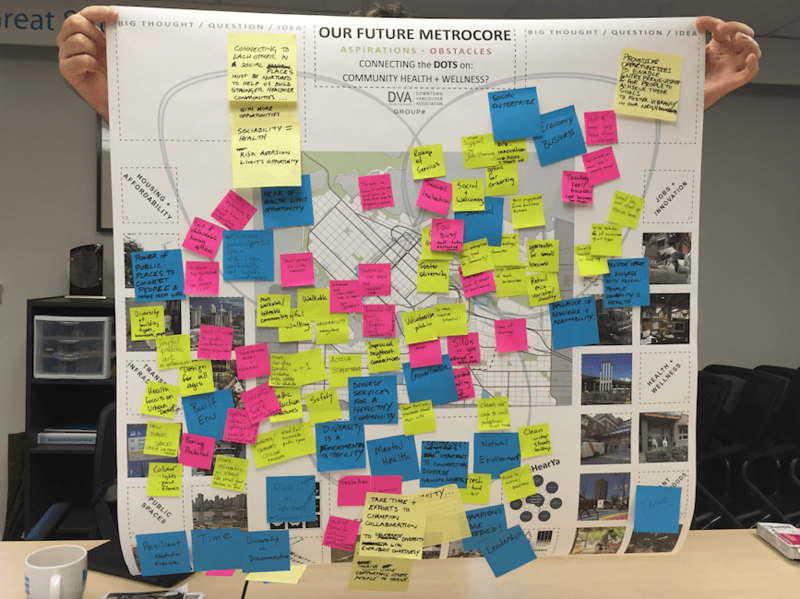 The purpose of the 2015 DVA Transportation Roundtables was to develop a shared discourse regarding city building and health and wellbeing in the Vancouver’s MetroCore. 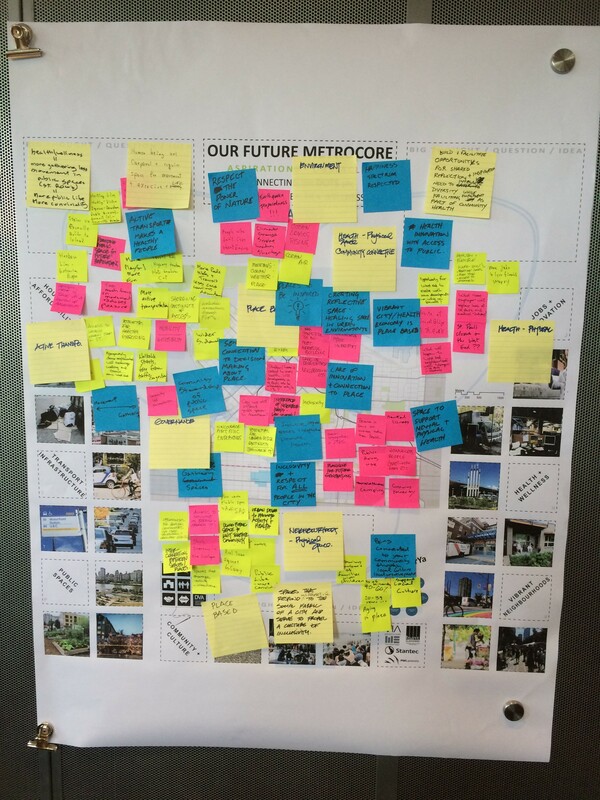 Participants in each of our seven workshops discussed and developed ideas over a “MetroCore Quilt” game board. 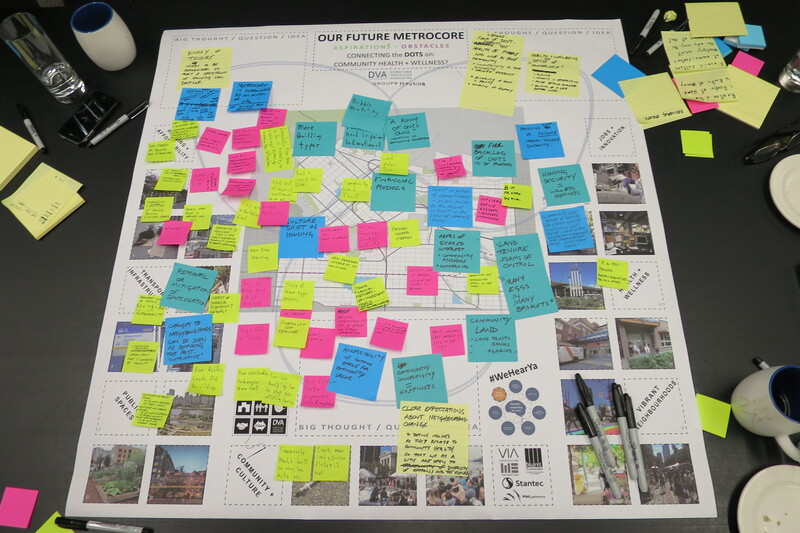 The informal nature of this tool enabled a more open discussion. 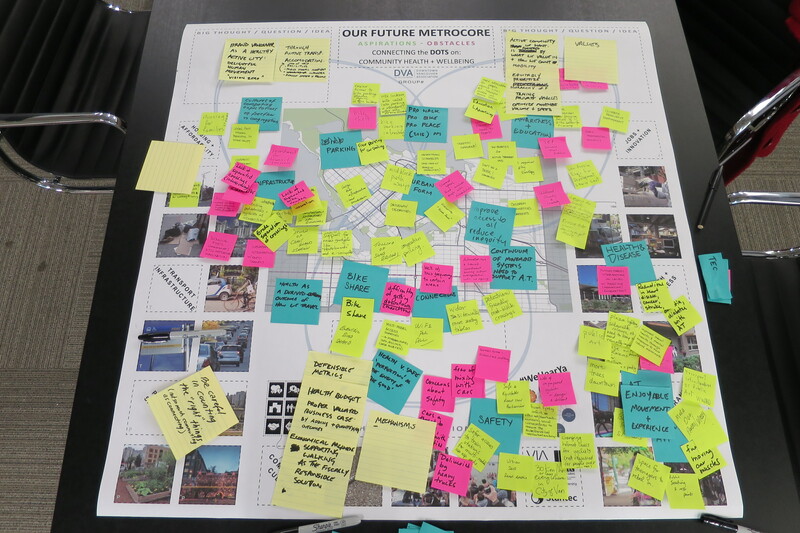 The participants were given the task of defining their understandings, hopes and fears on selected topics connected to health and wellebeing. 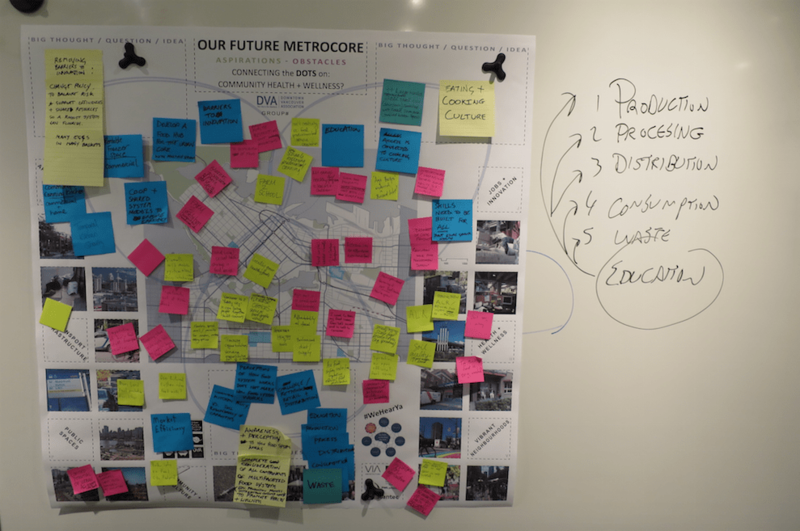 The goal was to collaboratively develop and record as many ideas as the group provided. 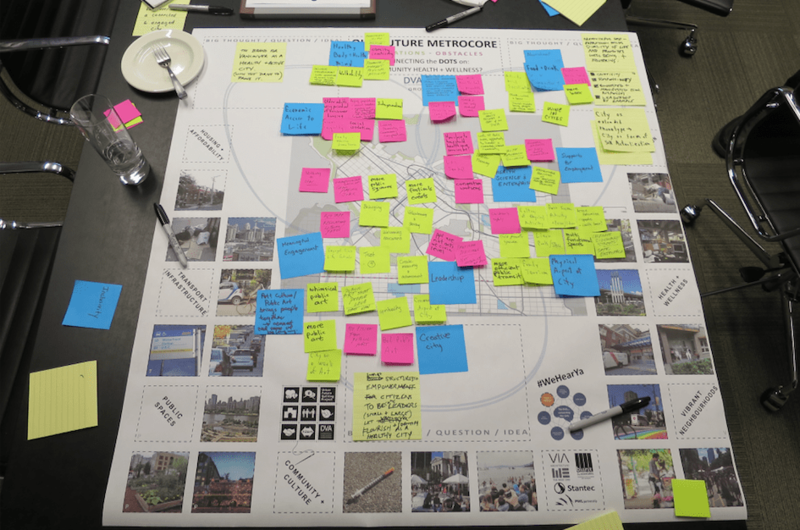 Throughout the course of the workshop, the original ‘fast brain’ ideas brainstormed by the participants were shared and discussed through a more “slow brain” or contemplative process that resulted into 3 or 4 “big ideas” that were presented as the main product of the session. 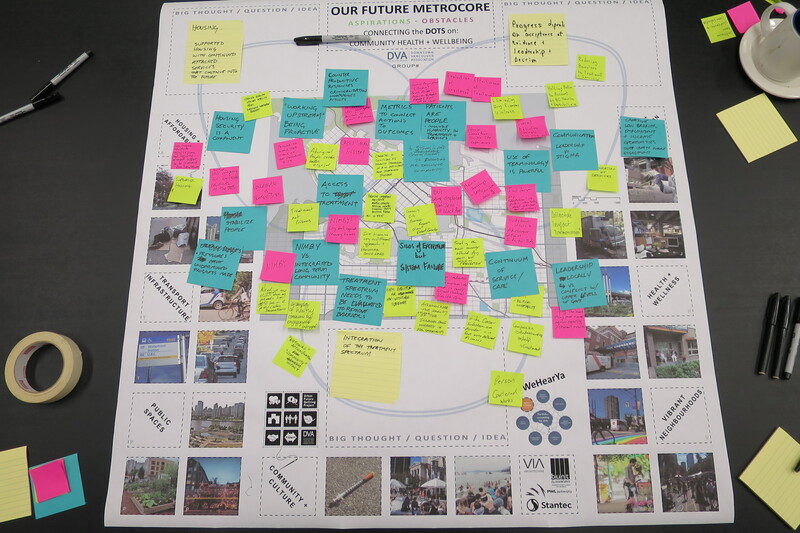 The underlying goal was to advance a shared understanding between potentially disparate but influential groups about health and wellbeing in the MetroCore as a key part of city building. Ideally, it was as much of a learning exercise for the individual participants as it was for the DVA. Here are some photographs of the seven completed quilt boards. You will notice that despite going through the same process, and talking about the same overriding issue, each board is unique—just like the squares of a quilt.